Today has been a busy day in the garage working on both the MGZR and the Micra. I had a few jobs to do to the MGZR including swapping around front tyres, as it is being used tomorrow (Sunday) on a local car trial. (Report on that will follow soon after the event, with hopefully some new cameras in use). 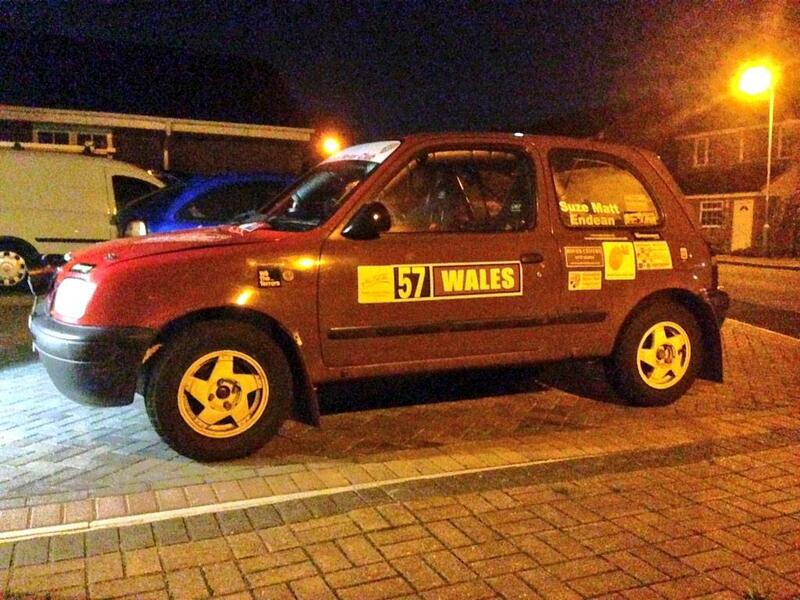 Then it was on to the rally car and the final push on to get things finished off for Wales Rally GB. Today’s jobs have been mostly small ones, but they all needed sorting. – Fitted the wheels and tyres we will be using on WRGB, this year we have two tyre options on width to cope with varying conditions. Once fitted these were road tested and I had to set-up the trip meter for each tyre option, one the measured mile I set-up earlier in the day. – Fitted new front brake pads, bleed the front calipers with new DOT 5.1 fluid, and bedded these in. – Finally if time allows fit the new electric window kit to the navs door. This entry was posted in Uncategorized on November 1, 2014 by projectmicra.